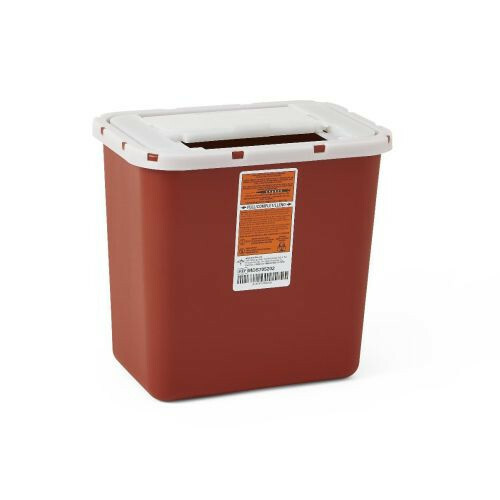 The Medline Multipurpose Sharps Container facilitates proper and safe disposal of medical sharp instruments. The container is molded with a strong polypropylene construction to be puncture resistant and leak-proof. It may be placed on a counter or it comes with brackets for wall mounting but should be in a location where patients do not have access for safety reasons. The horizontal drop with non-tortuous lid opening accommodates safe disposal for the healthcare worker when placing a variety of sharp types such as needles, syringes, capillary tubes, scalpels, microscope slide and serological pipettes. Horizontal entry into the sharps container also maximizes the container volume to get the most out of it. For additional safety, staff can quickly identify fill levels with the container's translucent lid with visible fill line. When at full capacity, there is a locking feature for safe transport and final disposal. 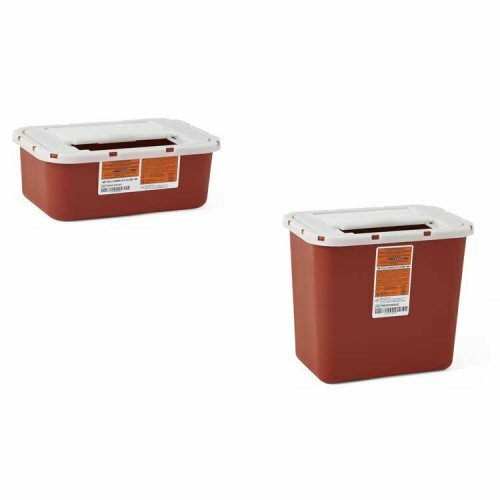 Multipurpose Sharps Containers are available in either 1 or 2-gallon options. Purchase a single multipurpose sharps container or a case. The container may be nested for easier storage and to compact shipments when buying the case option. Containers come with step-by-step instructions on use and disposal. 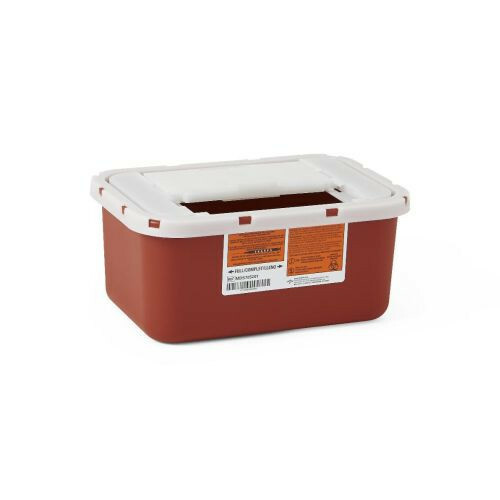 Medline manufactures portable sharps containers for phlebotomy with a choice of single or dual openings to accommodate for a variety of sharp types. Fast shipping & great product!